Jean and Celia went to Tesco Tenterden this morning for cheque presentation of £250 from Jan West Community Champion of Tesco. 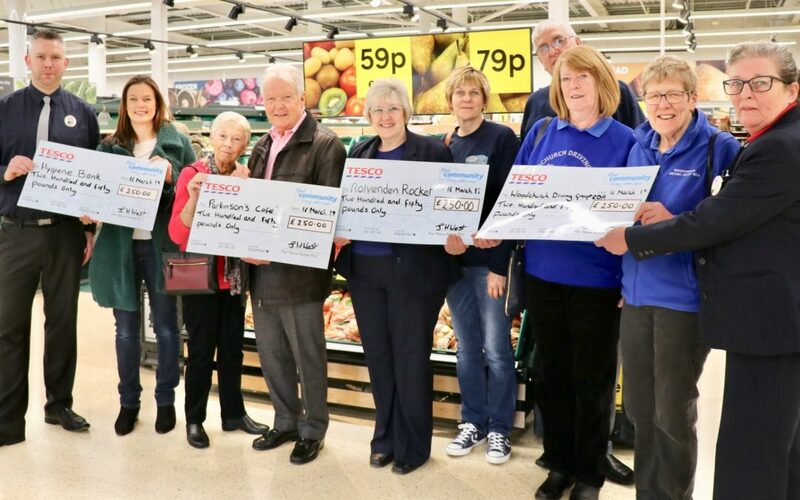 We were one of four local charities to receive proceeds of craft stall run by Tesco staff. We express our gratitude to Tesco for choosing us.